This pack includes levels for ALL of your students, including students who need symbol support, tracing, or copying options! 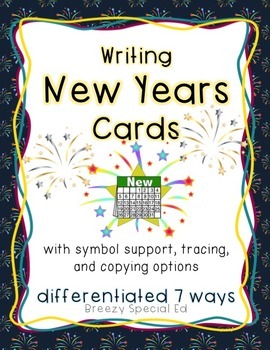 A perfect and fun way to start the new year off writing! 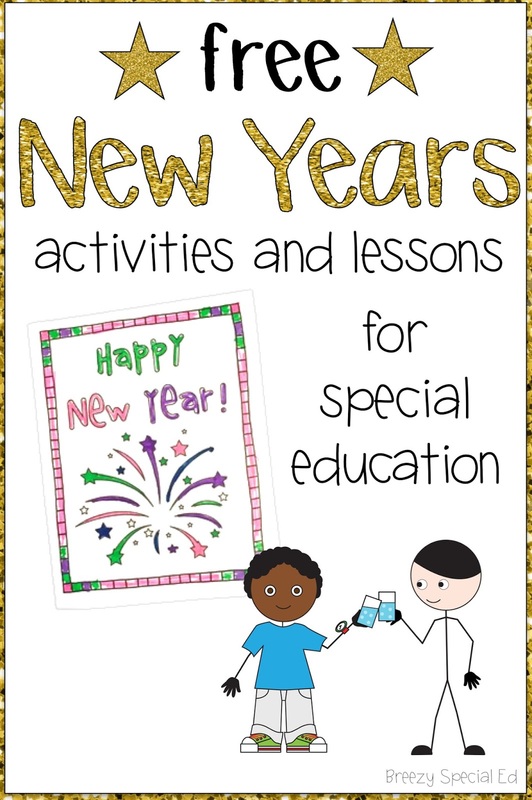 You can read the book with the class to talk about what resolutions are and discuss examples. Then students can complete worksheet on their New Year’s Resolution. 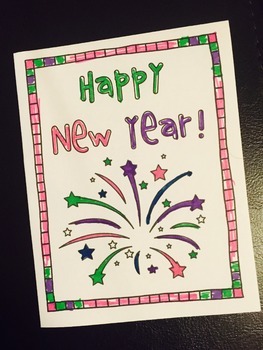 On this page, the students circle one word that they want to base their resolution on. 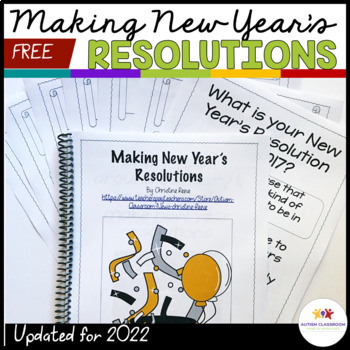 Based on what word they choose, each student can be given a worksheet on that resolution and goals for them to cut and paste. 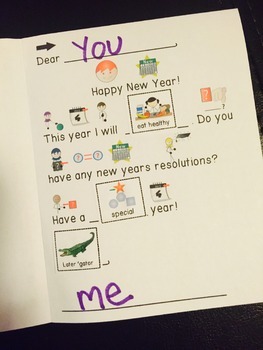 What an awesome way to help students think about resolutions for the New Year! 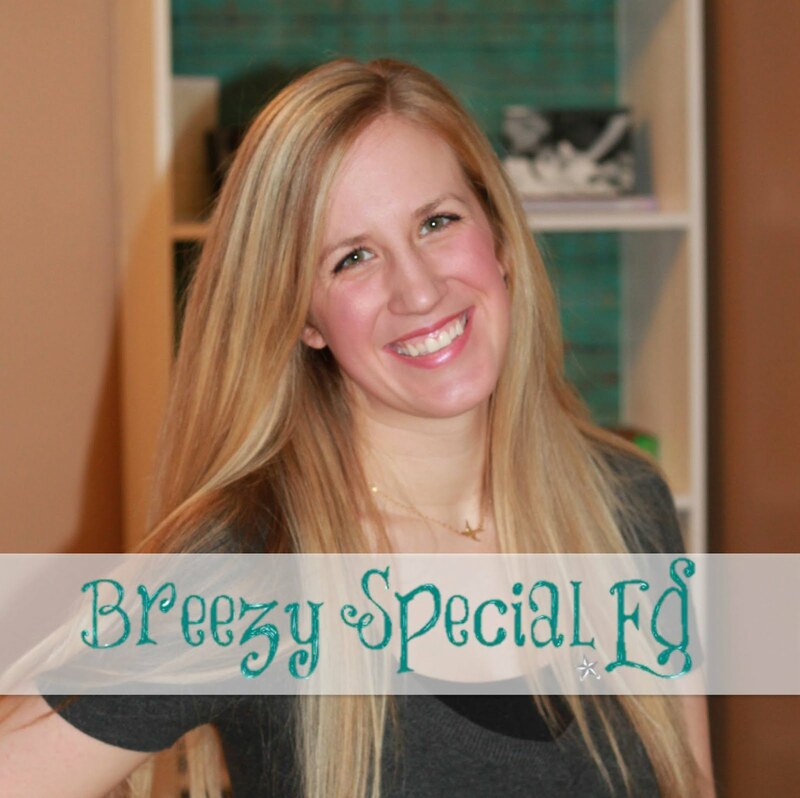 Need a fun and simple craft for your students upon returning from winter break? 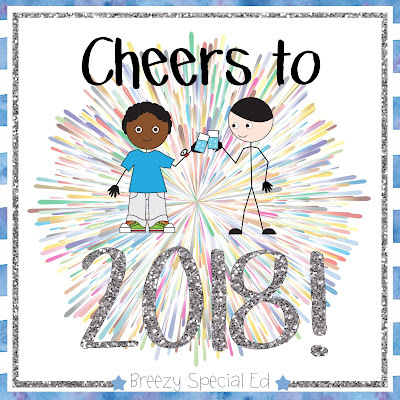 Students can choose from 12 different wishes they have for the New Year to include love, friends, family, health, toys, kitten, puppy, house, vacation, car, food, or money. 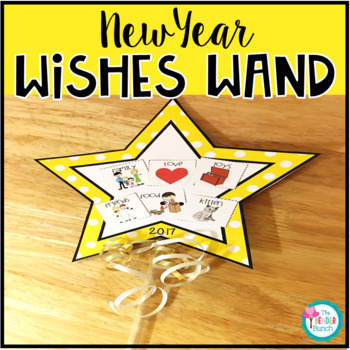 They choose 5-6 wishes, glue them onto the star, tape on a straw, add some ribbon, and that's it! Super fun and simple enough for students that need a little extra support! This activity is so simple, and yet, so much fun! 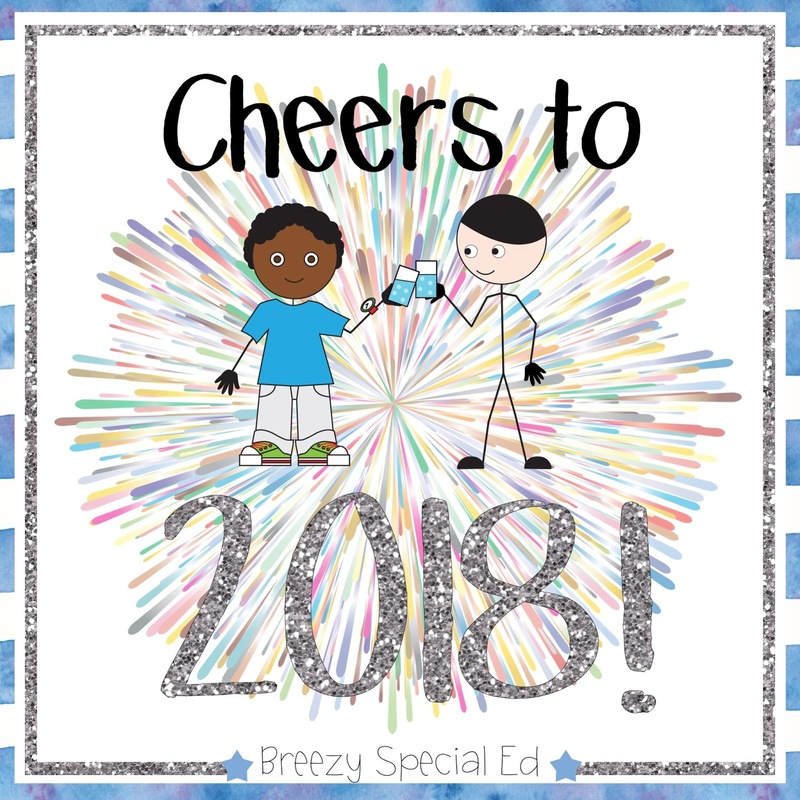 Just give all of your students some sprite or other school appropriate drink and "cheers" to the new year! It makes for a perfect time to work on social skills and manners AND it's super fun! 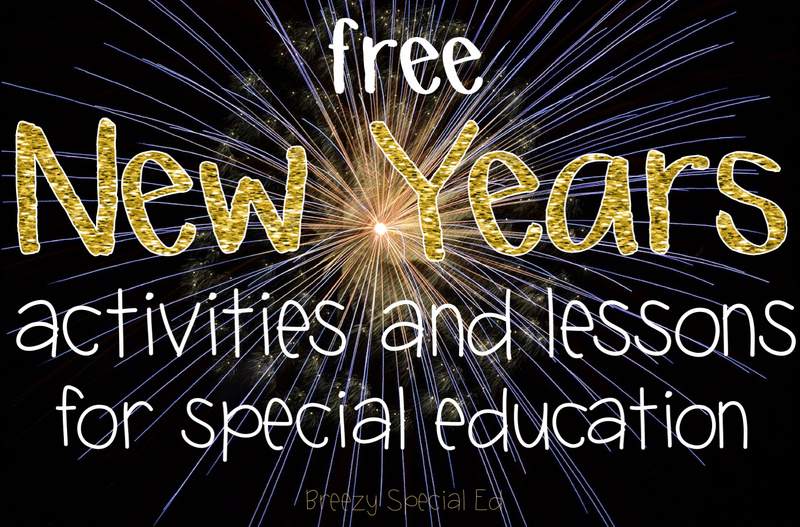 So, how will you ring in the new year with your students? !